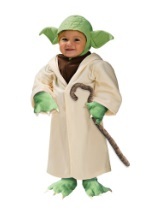 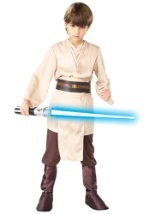 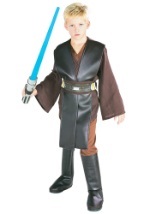 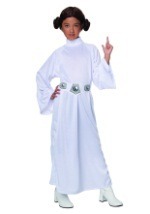 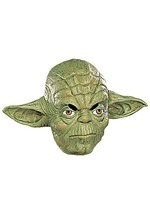 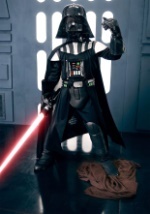 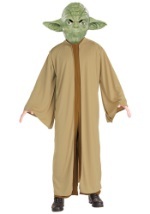 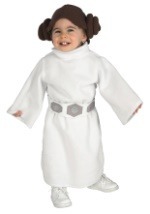 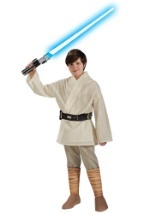 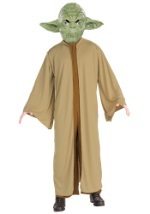 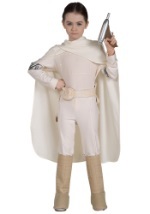 Deluxe Children's Yoda costume jumpsuit ties in the back at the neck. 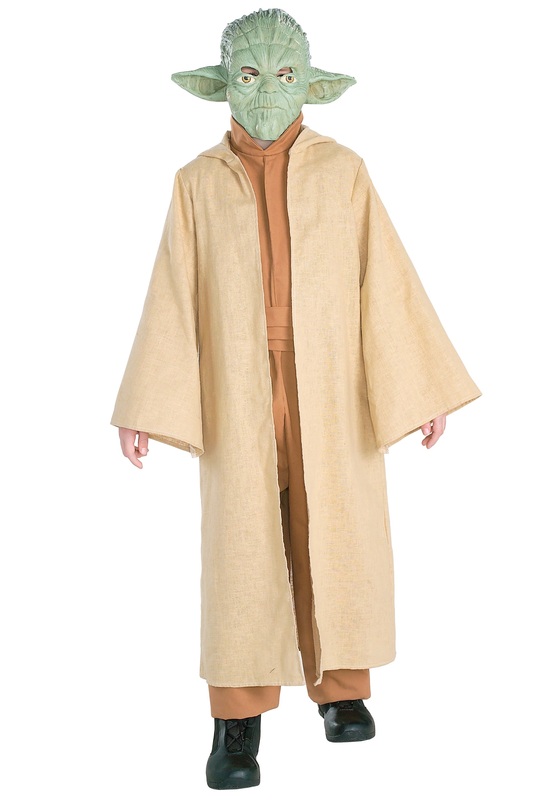 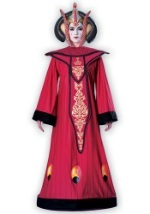 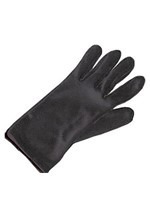 Hooded robe is made of heavier woven polyester material. 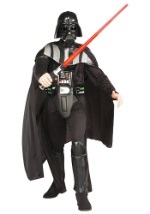 Latex 1/2 mask and waist sash complete this deluxe outfit.